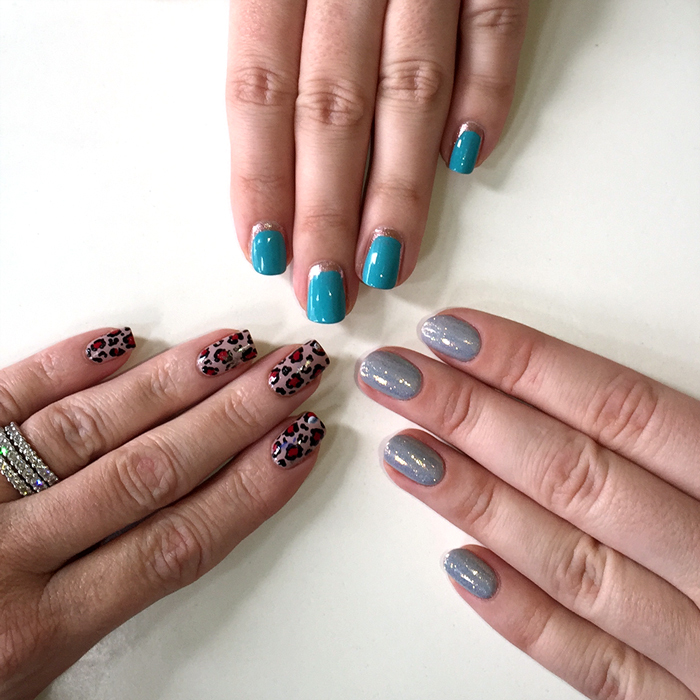 I’m back from what turned out to be a nail blogger’s DREAM vacation to Los Angeles! I’m still pinching myself. 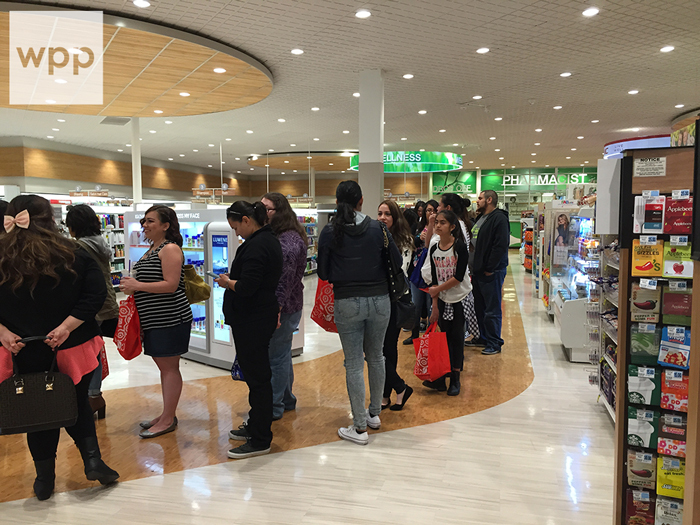 As some of you know, I headed to LA to do another Jesse’s Girl/Rite Aid in-store appearance with JulieG. These events are getting more fun and less stressful as I get a few under my belt. In fact, I’m probably more excited to meet you guys than you are to meet me! And the trip was made even more exciting with the addition of Chalkboard Nails, my partner in nail crime. 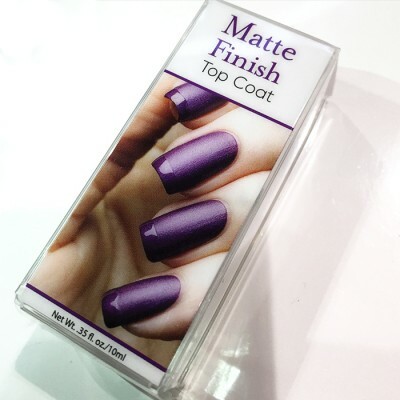 Before I get to the recap, I've gotta tell you my utter shock to learn that my digits are on the new JulieG matte finish topcoat. I had zero idea. Super cool! Okay, back to business. So I thought I’d do a few posts about the trip. There will be nails of some sort in all of them, I promise. :D In this one I’ll cover the actual event and my Real Housewives celebrity moment (GAH!). 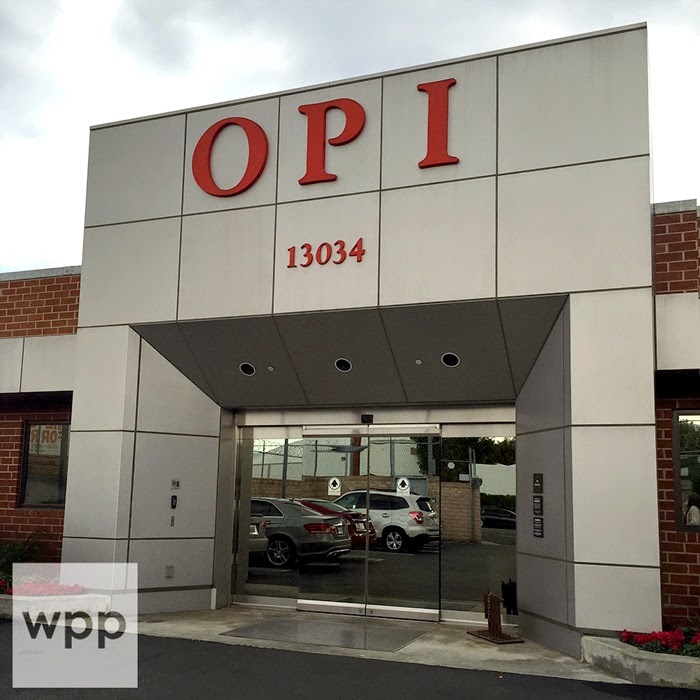 The next post will be all about my tour of the OPI Headquarters (so amazing! ), and in the last one I’ll share about our visit to The Painted Nail and all the mind-blowing stuff in the works from Katie Cazorla. I wanted to take her home with me in my suitcase because I love her that much. 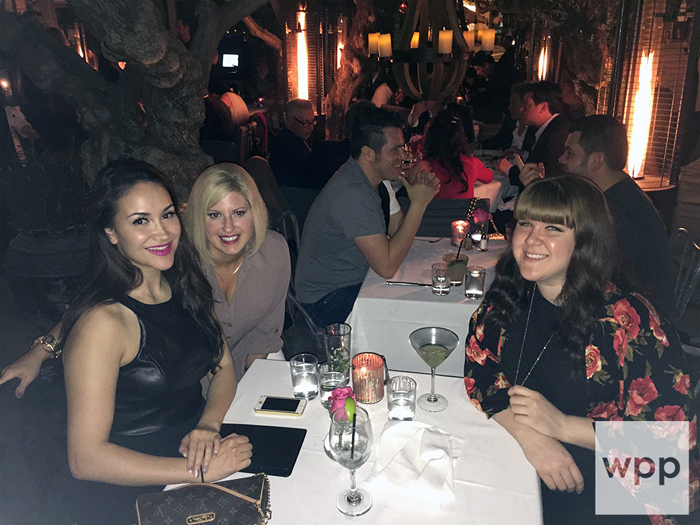 I arrived Friday evening and Julie and I grabbed dinner at Via Alloro in Beverly Hills. We went there the last time we were in LA. Great food and so fun to sit outside and take it all in. If you follow her vlog, Julie is seriously EXACTLY that sweet girl in person. After dinner we went to the makeshift bar in the hotel (the real bar is getting remodeled) and waited for Sarah to arrive. Sarah roped us into playing Heads Up. Have you played it? So hilarious! Later Sarah did some nail art for us for the event the next day. YUP! Chalkboard Nails did my nails. Woot. Here's Julie's vlog (from her Vlogging Channel) that covers Friday night so you can see all of the shenanigans in real time. LOL. 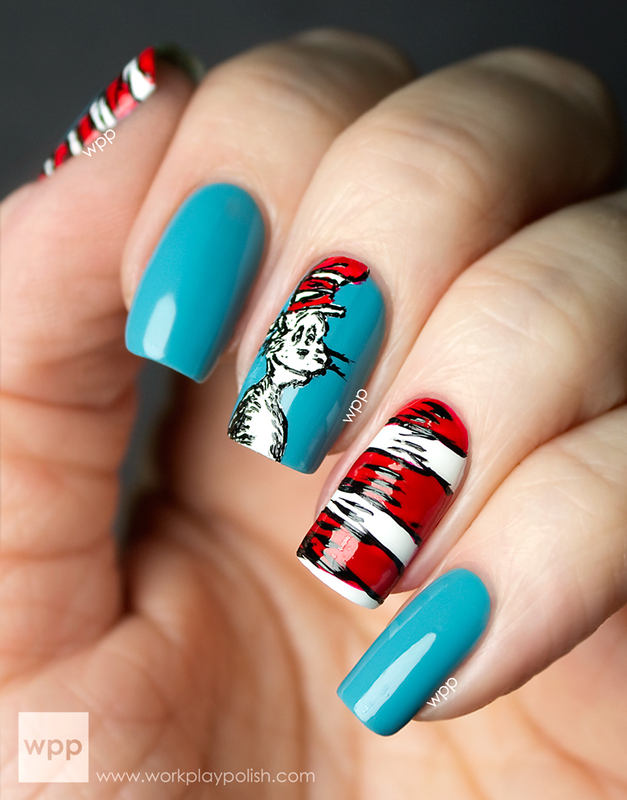 She also shows the nails Sarah did for her (beautiful, of course!) Sarah and I start to make our appearance around the 8 min mark. Julie, bless her heart, chatted with every single person as they came through the line. 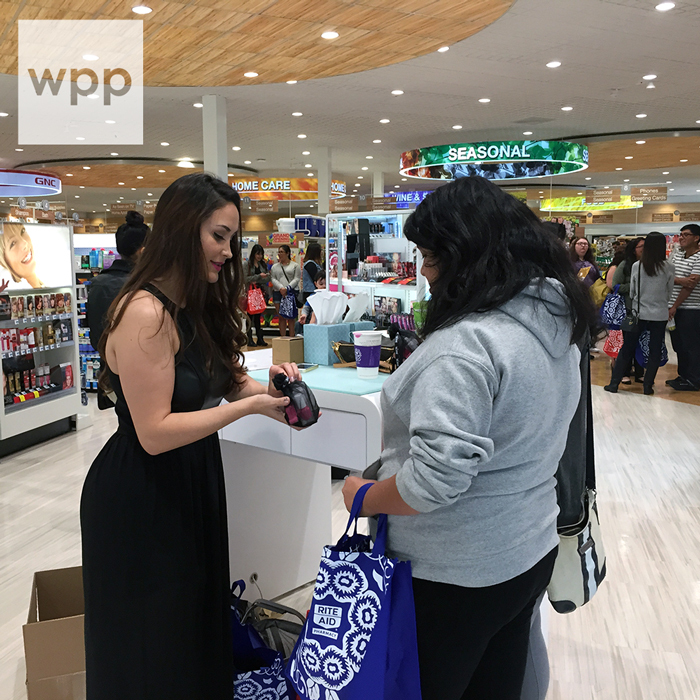 Sarah and I were set up behind her doing nail art. 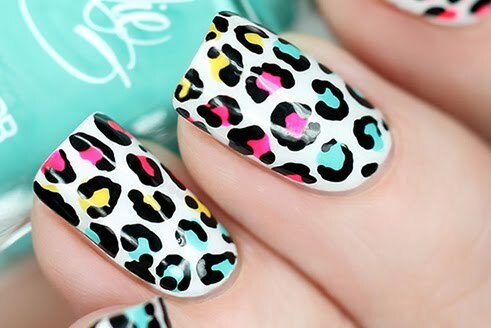 Nail It! Magazine came by and took some pics too. It was such a great day. 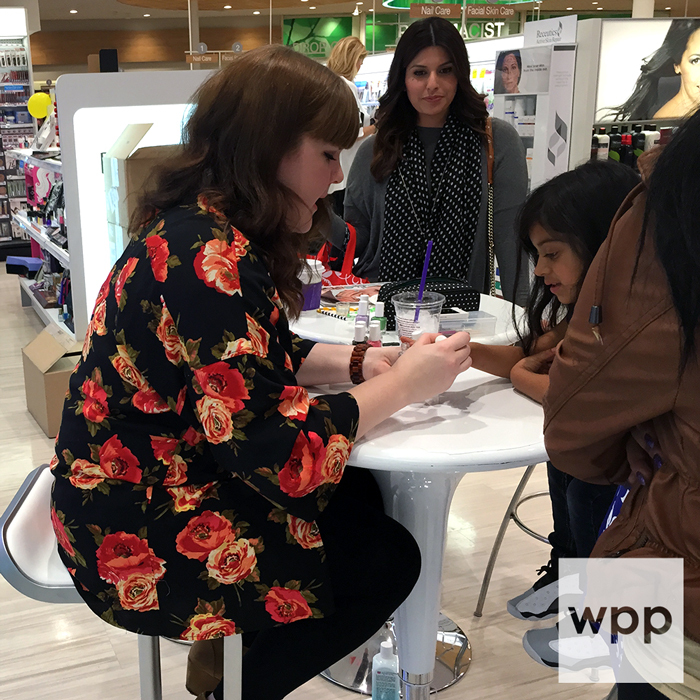 I miss doing other people's nails and it was awesome to get to meet some of you in person. Here's Sarah in action. 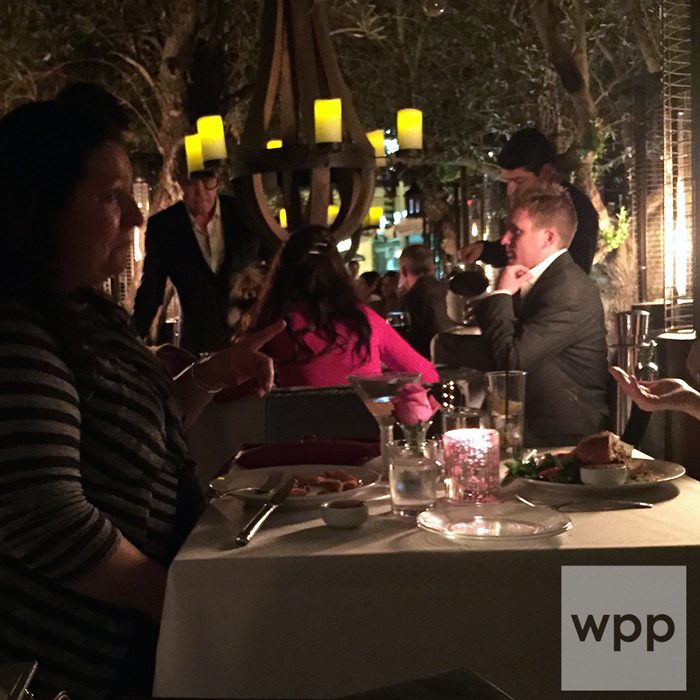 After the event, we had reservations for dinner at Lisa Vanderpump's restaurant, PUMP. I'm an unapologetic Real Housewives of Beverly Hills Fan. LOL. The ambiance in the restaurant is so incredibly cool. I've never seen anything like it. You may have seen the next pics on Instagram. Imagine my surprise when Lisa, Ken and Giggy walk in and they set them up just one table away from us (behind velvet ropes of course). Gah! It was so exciting!! I'm such a tourist! I tried to get a look at Lisa's nails but it was dark. I'm certain they were fabulous. And here's our "group" shot with Lisa (in the red dress behind us). LOL. We made the waiter take it from the other side of the table so we could get her in the pic (I have no shame). What an awesome night! So there's Part I. Part II is coming soon so stay tuned. 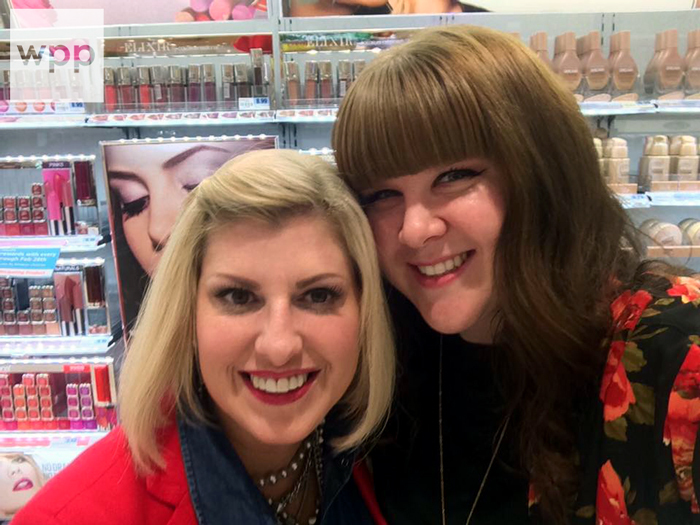 Special thanks again to Jesse's Girl Cosmetics for making this wonderful meet-up possible. You can purchase JulieG and Jesse's Girl Cosmetics at Rite Aid Stores nationwide and at www.jessesgirlcosmetics.com.